Our buddy Andy, who we met autocrossing about 15 years ago, owns this 2012 Subaru Impreza WRX STI hatchback. He picked it up a few years ago because he wanted something equal parts fast, fun and practical, and it’s hard to argue with his choice. 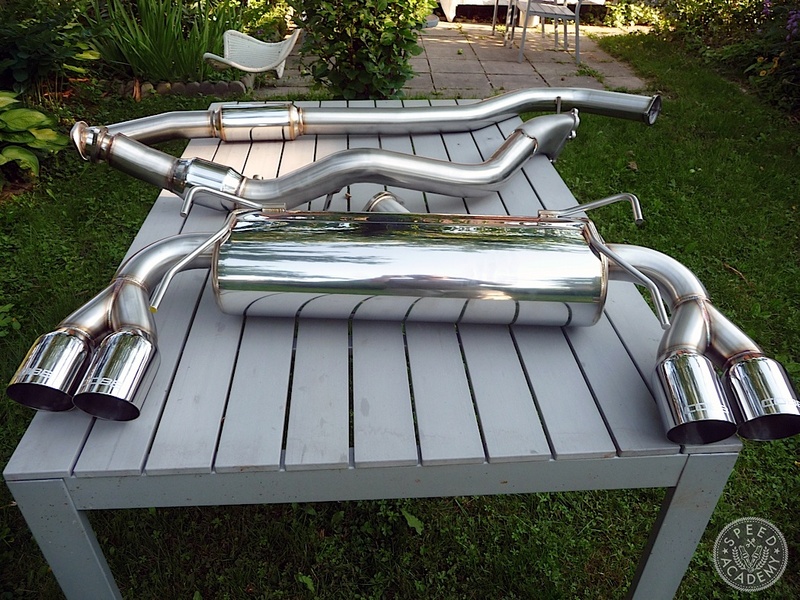 We’ve always been big fans of the GR chassis STI, so when Andy expressed some interest in doing a little light tuning to his, we were more than happy to help. About a year and a half ago our friends at Cobb Tuning sent us one of the very first production unit AccessPORT V3‘s as a viral marketing strategy, since they knew I’m a Facebook junky and would post about it. Andy’s STI was the perfect machine to test it out on, which involved a trip to visit Brian at Advance Powerhouse in Toronto to baseline the car and then try out the Stage 1 OTS (Off The Shelf) tune on APH’s Dynapack dyno. 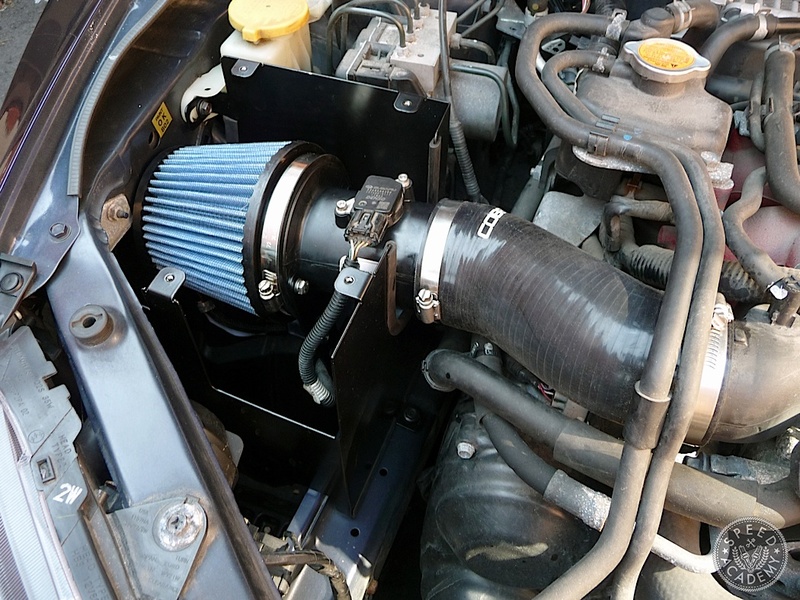 The gains were pretty startling on an otherwise stock GR STI, peak horsepower jumping from 233-whp to 240-whp and peak torque jumping from 247.5-wtq to 280-wtq. 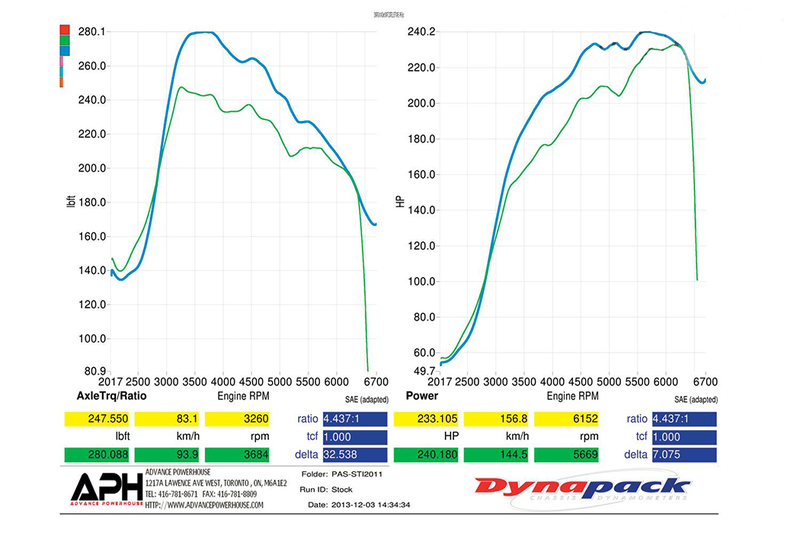 Even more impressive was the mid-range power gains from about 3,000 RPM on up, most of which can be attributed to the higher boost pressure the Stage 1 OTS tune utilizes but the smoothness in both the HP and TQ graphs also indicate significant refinement to the fuel and ignition maps as well. 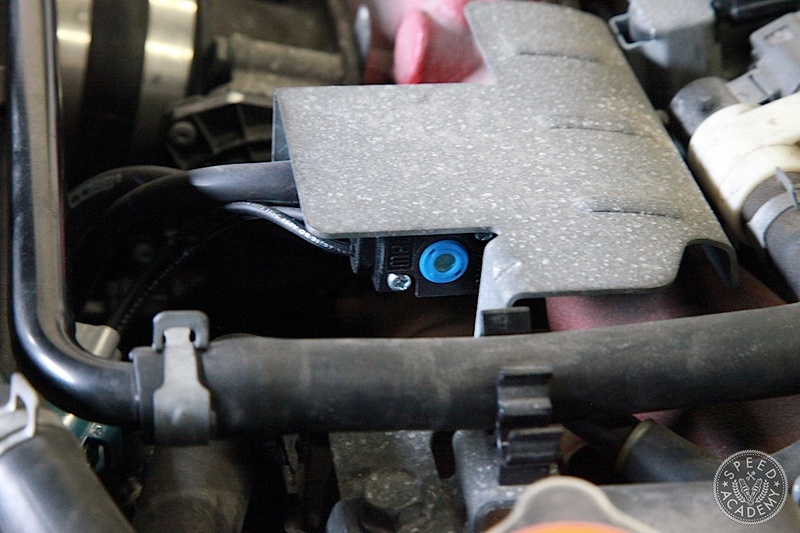 All in all we were very impressed by the results of simply plugging in the APV3 and installing the OTS Stage 1 tune. Andy was impressed too, since he felt it delivered improved drivability and more torque in daily driving situations. 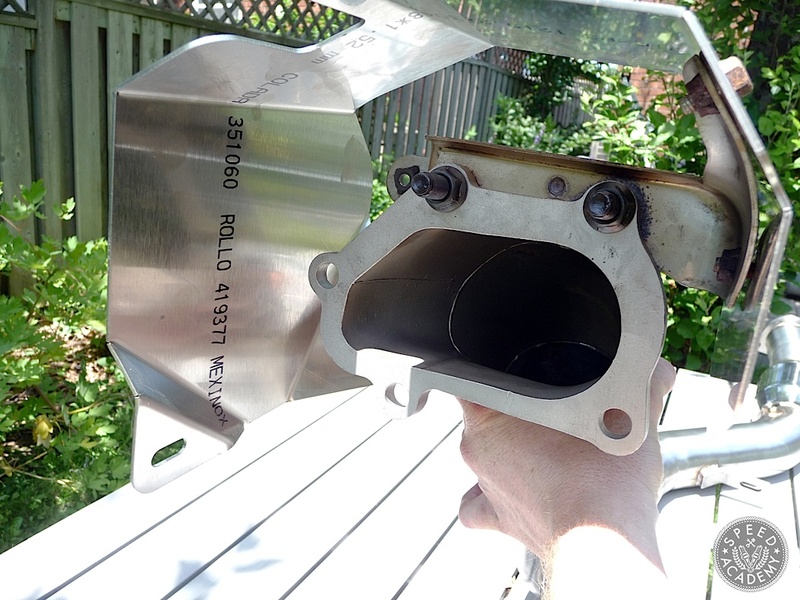 Plus he noticed the infamous dip in power at around 2,500 RPM had been dialled out, too. Our plan was to move to the Stage 2+ setup on Andy’s car and document the process in Modified Mag, where Peter and I used to work as Editors. 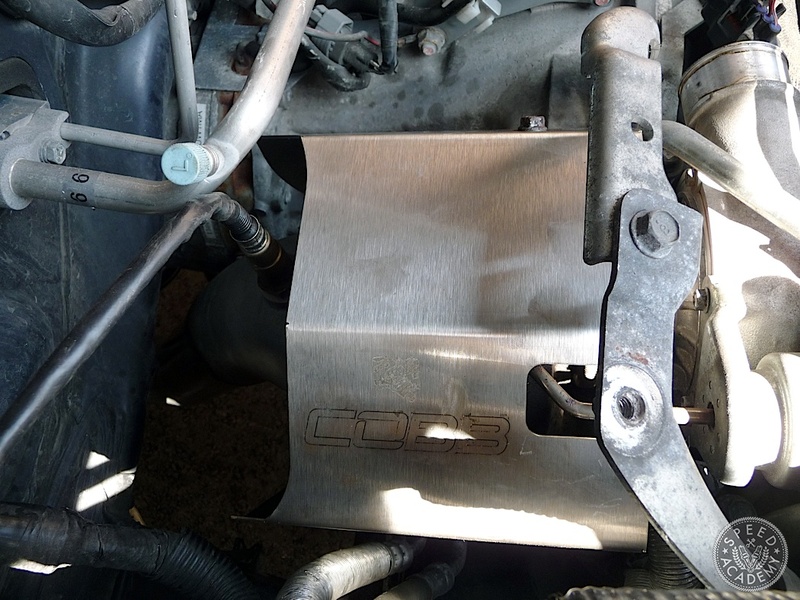 The guys at Cobb were kind enough to send us a SF Air Intake and Air Box, a 3” stainless steel downpipe, and a stainless steel turbo heatshield, and then the magazine got shut down. We’d been sitting on the parts ever since, caught up in the madness of launching and building this website and our YouTube channel as well as Andy getting married and building a new career of his own, but we’ve finally got around to testing them on Andy’s STI, along with the 3” SS cat-back exhaust he bought from Touge Tuning to complete the Stage 2+ setup. Andy’s an engineer and a DIY kind of dude, so rather than installing the parts ourselves like we normally do, I simply handed the goodies over for him to install. 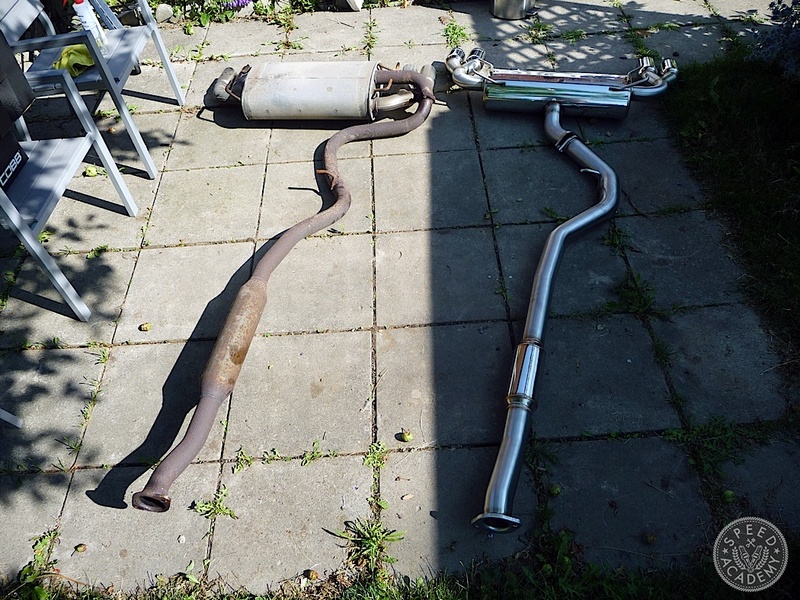 Below are Andy’s notes and pictures on the installation process. 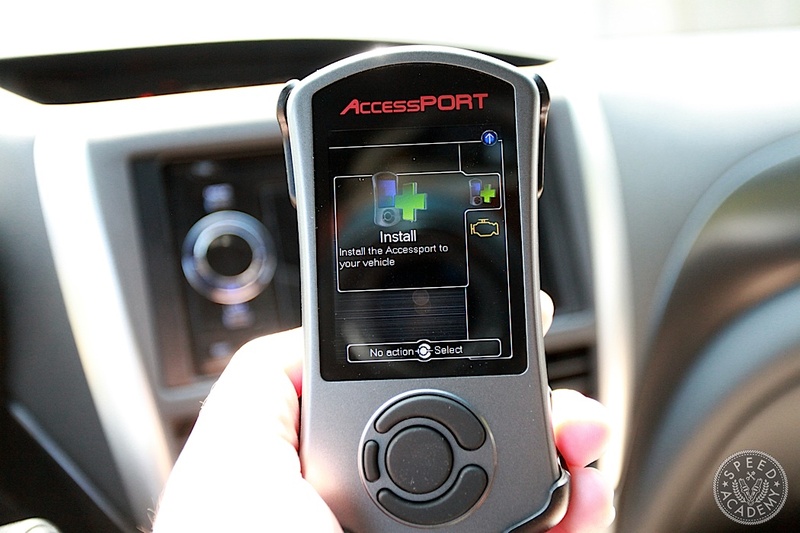 True to his word, Andy reported back after about 500 km of driving with the Cobb parts in place and free downloaded OTS Stage 2 tune installed (OTS tunes are developed by Cobb for a specific set of modifications that anyone can install on their AccessPORT enabled vehicle). “Without dyno numbers to compare, my gut feeling is that a lot of the the overall power gains were made back at Stage 1. Stage 2 gains seem to be made in more exhaust zoom, turbo whoosh and quicker spool-up (not that this car has significant turbo lag to begin with). The sound of the COBB parts is addictive though, and has managed to throw me back to my boy racer days of “It sounds faster, therefore it IS faster!” On the topic of day-to-day drivability, COBB have done a great job of maintaining the smooth idle and glitch-free powerband of Stage 1. With Andy’s initial road test complete, it was time to hit the dyno again, this time with our homey Sasha from OntPoint Dyno. Sasha has a partnership with Touge Tuning, where he stores two of his DynaPack hub dyno pods, so he tunes AWD cars exclusively at Touge. 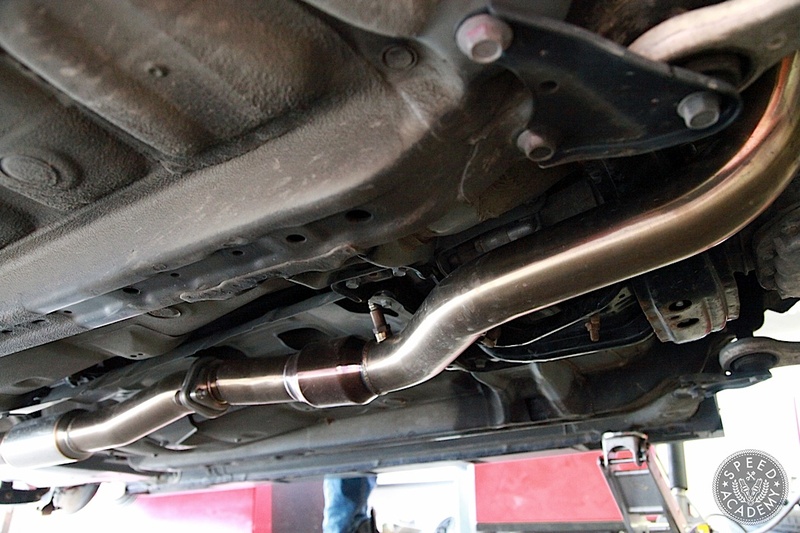 This worked out great for us since it gave us a chance to check out this highly respected Subaru tuning specialist and get to know Chris and the guys at the shop. Plus we knew if we had any mechanical issues they’d be able to sort it out quickly and easily. In fact, once we bolted Andy’s STI up to the OnPoint Dyno pods and took some baseline readings with the OTS Stage 2 tune installed, Sasha suggested we have Touge install a Cobb 3-Port boost control solenoid. FYI, the 3-port BCS enables greater boost control precision than the OE 2-port unit, which is notorious for allowing boost fluctuations, especially at higher boost levels. 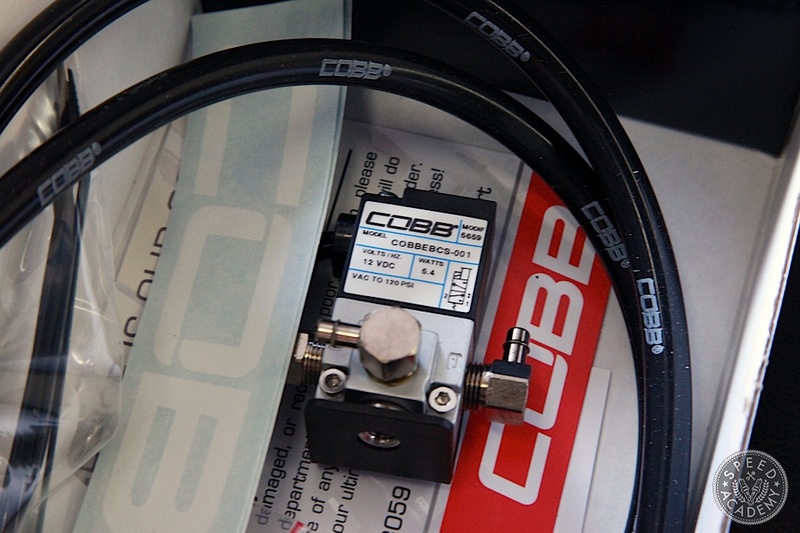 Chris from Touge was kind enough to sell Andy one and install it on the spot, a job made much easier thanks to the plug & play wiring harness and mounting bracket Cobb includes with it. 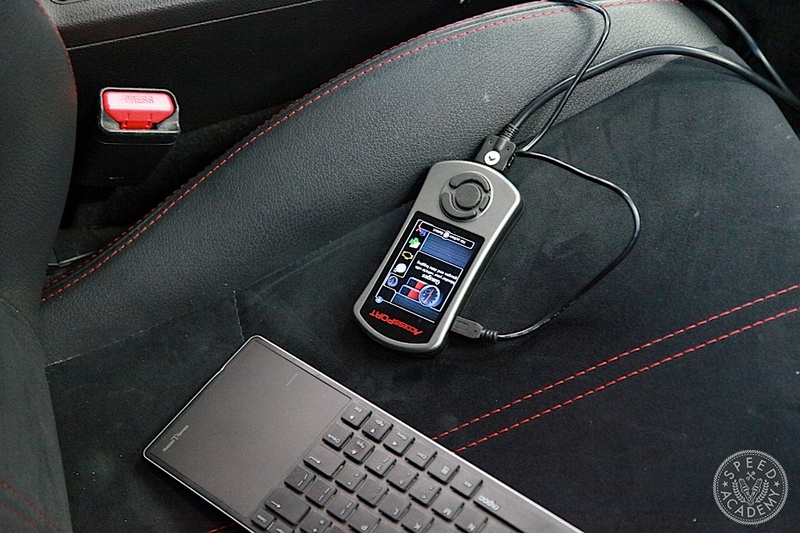 Now it was time for Sasha to work his laptop magic using Cobb’s ProTuner software. 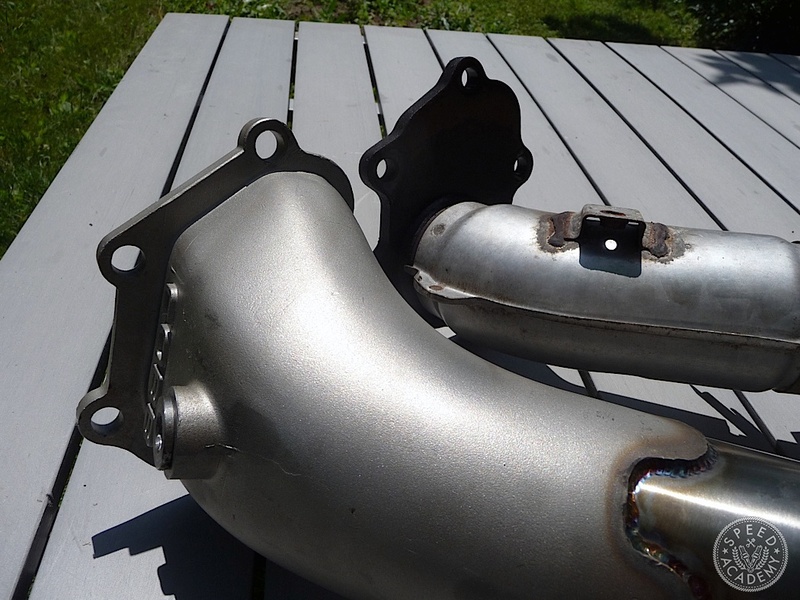 Sasha became a certified ProTuner a couple years ago and has tuned a ton of Subarus at Touge Tuning since then, so it didn’t take long for him to start making serious gains over the OTS Stage 2 baseline. Andy had specific requirements for his ProTune. By the time Sasha was satisfied that his 91 octane ProTune (details on graph above incorrectly state 94-octane) was 100% on point and met all of Andy’s requirements, peak power had jumped from 260-whp to an impressive 278-whp and torque improved even more significantly from 290-wtq to 320-wtq. Those are some big time gains, and as you can see the area-under-the-curve gains are massive across the entire rev range. 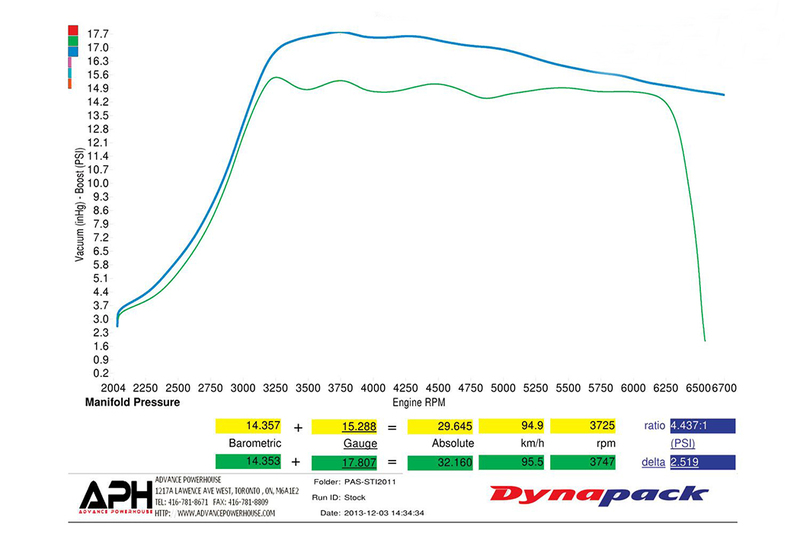 Some of these gains come from the increased boost pressure (pink lines), where you can see boost is 1-2 psi higher, but the much improved fuelling (yellow lines) also shows you a more consistent air/fuel ratio that’s leaner but still very safe at around 11.5:1 with Sasha’s Pro tune. Some of the gains will also have come from Sasha’s fine-tuning of the ignition maps. 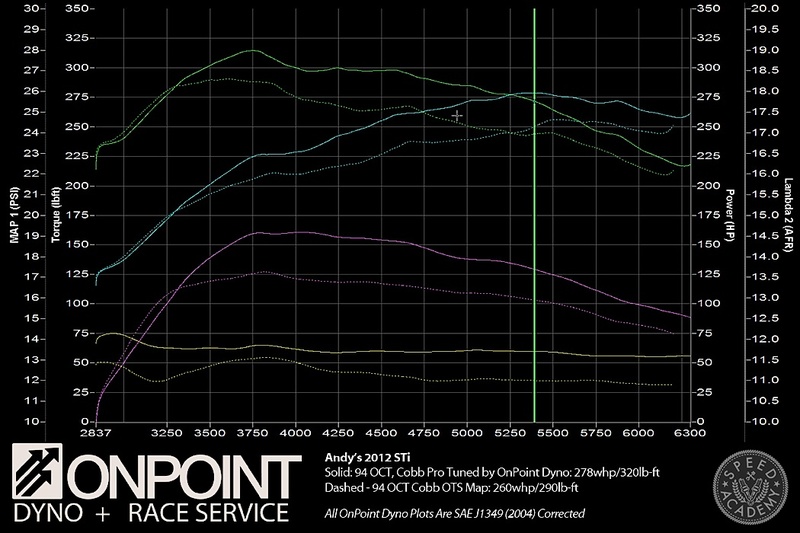 Oh, and we think the Cobb exhaust sounds pretty sweet on the dyno. Buttery rich with that Subie burble but still very mature and not at all fart-can-ish. Perfect choice for a mature owner like Andy (ok, by mature we mean he’s getting kinda old, but he’s still very immature for his age). So how does Andy like his STI now that it’s been given the full Cobb Stage 2+ treatment including a ProTune from Sasha? The final results of the Stage 2 parts and tune is simply amazing. 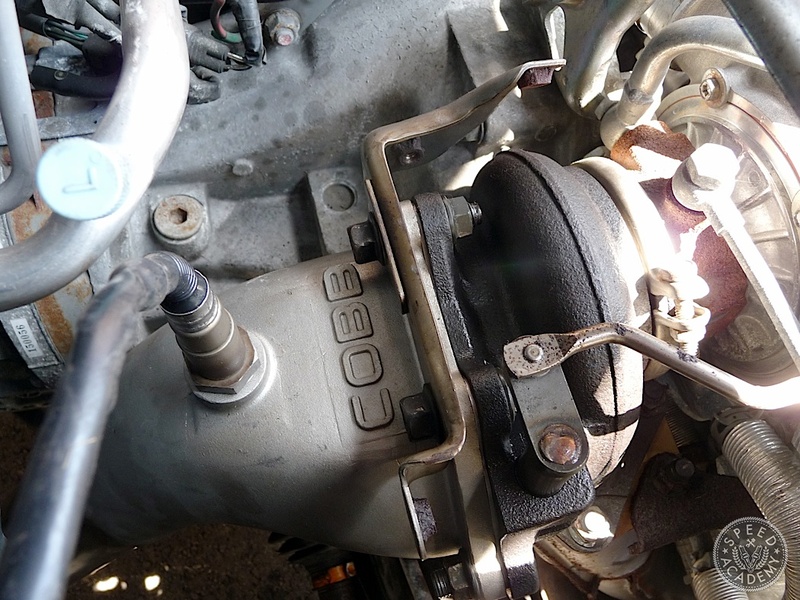 Cobb Tuning Stage 2+ Power Package"
hi there am going for stage 2 in my sti 2015 but am worried about the pistons and the ringland are going to be fine with it or something bad will happen to them as am not ready for any any problems and what you advice to keep the pistons safe. 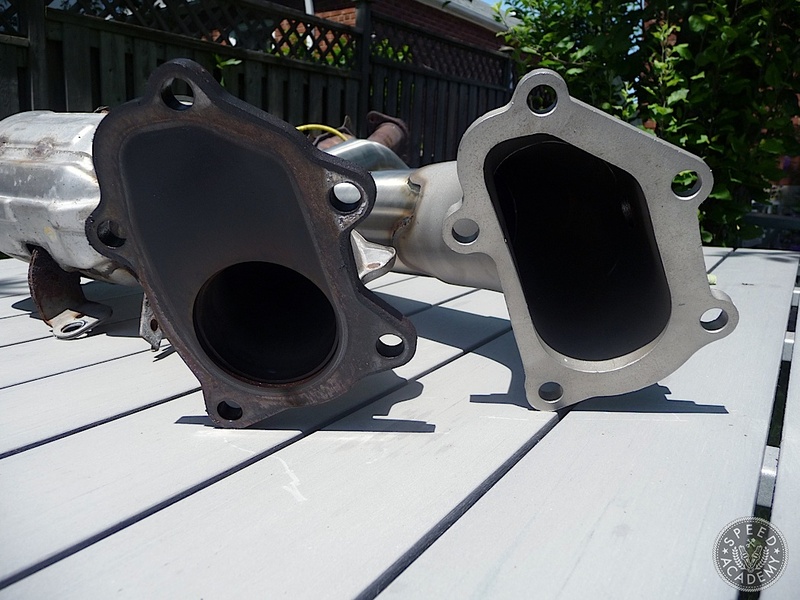 Our friends over at Touge Tuning wrote this excellent post about ringland failure and Subaru boxer engines. Some excellent advice and info that should put your mind at ease. I’m running invidia catless downpipe, Cobb heat shield, with spt exhaust and cobbs ots stage 2, it’s been 1500 miles and everything is good so far, although I didn’t get any psi gains just that I hit peak psi much faster.